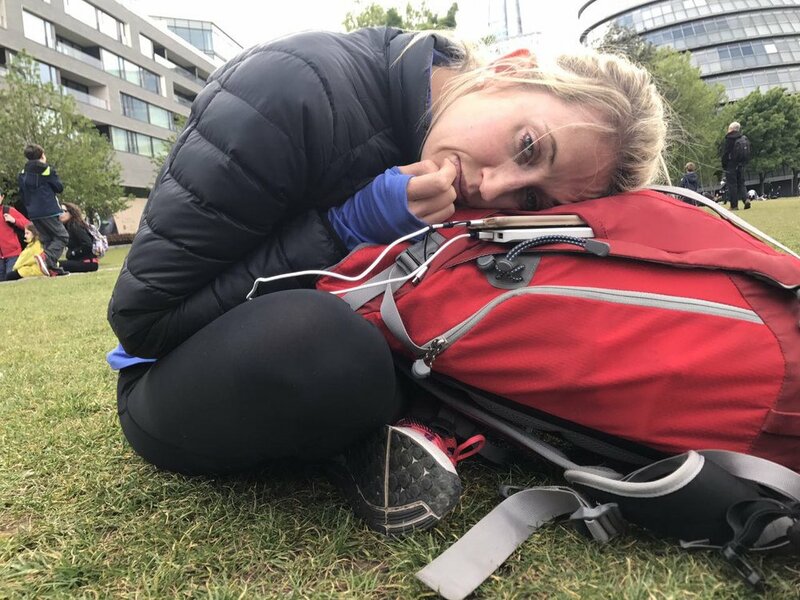 Going in, I knew doing social media for Mina Guli’s #Run4Water -- an ultra epic of 40 marathons in 40 days along 6 rivers, on 6 different continents -- would be challenging. But I underestimated just how tough it was. Massive ants stalked me in the Amazon. I ran six to eight hours some days. I collided with moths the size of birds. Every day, a perpetual hunt for bandwidth. I battled to get beyond the Great Firewall of China. And the weather. This was storytelling in acute cold and torrential downpours. This is a story of #extremesocialmedia. The narrative of what it takes to run a live, global cause campaign where water is the hero. I had to convincingly tell the story of an iconoclast doing the impossible. 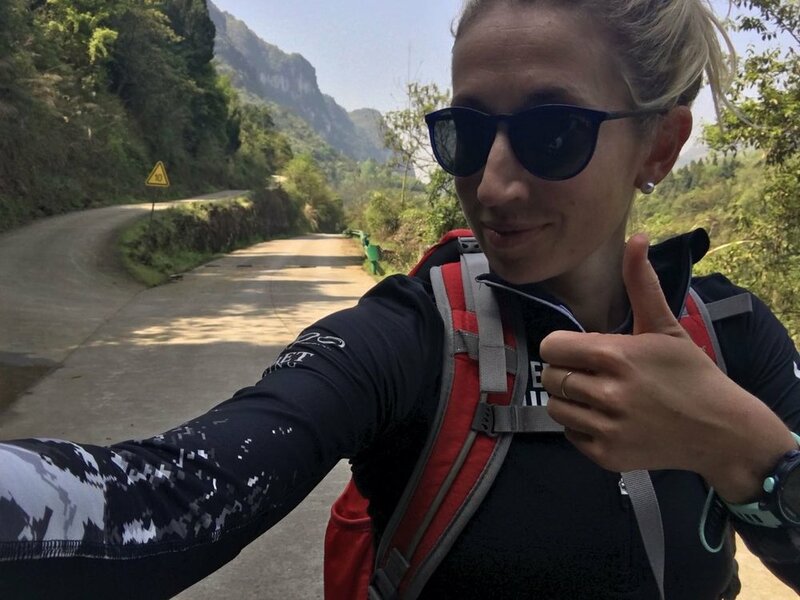 Mina Guli’s crazy run of 1,688 kilometres in 6 weeks along 6 rivers on 6 continents for 1 reason: To get the world focused on the Global Water Crisis. Business tradition is about thinking first and acting later. It favours strategy over action. Weeks of research and planning went into the #Run4Water campaign. We honed the narrative. Debated the hashtag. Collated lists of global media to reach out to. But on the run, what would grab global interest in a world fatigued by noise? Going in, the guiding principle was to embrace the best in real news values. To tell the story honestly, and as it happened. To employ rigorous fact checking. To reach out to credible activists and sources involved the global water struggle. 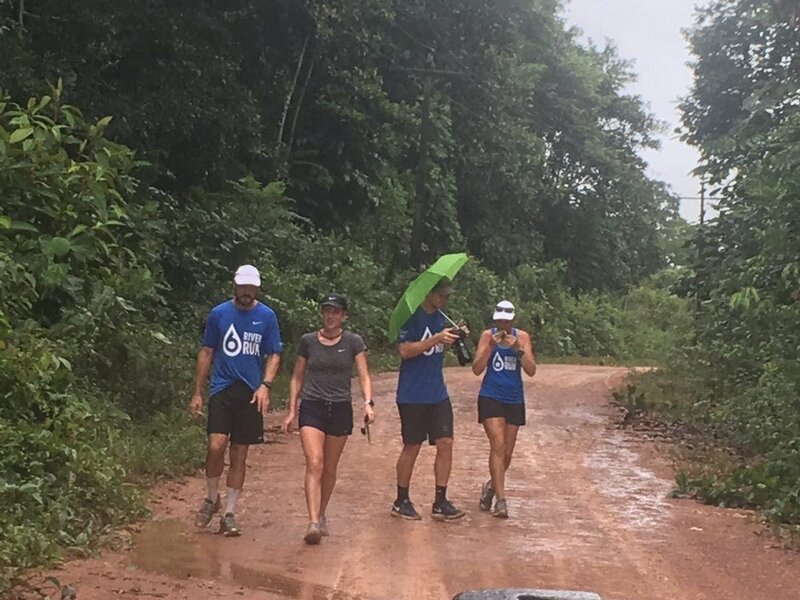 The #Run4Water course took us along the Colorado River in Nevada; the mighty Amazon, the Murray River in Australia; China’s Yangtze; Egypt’s Nile River; and the River Thames in London. I had an incredible team behind me. Dave Duarte led strategy. Max Kaizen and Jaidie Rumboll managed research. Charlie Mathews did writing. We had one of the best visual storytellers in Kelvin Trautman. Greg Fell of Fell & Company managed operations and logistics. With so much preparation, what could possibly go wrong? Communication is everything for a campaign like this, but in remote reaches technology let me down. In Manaus, northern Brazil where the rainforest has been decimated by logging, I had to hunt for hours for bandwidth. Eventually I found a good signal in the middle of a traffic island studded with trees. The driver left me there with my laptop, cellphone and a piece of cardboard to sit on. I had an hour to write and post the crux post of the story we set out to tell in Brazil. Time was running out. I’d be halfway through a sentence or post when huge ants would crawl up my legs. Everything is outsized in the Amazon. I’d shoo them away, but my continuity was disrupted. The clock ticking, I decided the story was more important than the ants. The humidity was overwhelming. With sweat dripping down my body, I let giant arthropods inch forward. The big lesson? If you’re doing social media for a global campaign over a number of different regions, get multiple mobile simcards the minute you touch down at each new airport. All mobile networks aren’t equal. I only had 1 simcard. For ubiquitous bandwidth you need more than one mobile operator’s simcard in your arsenal. England. Working, while the team drinks beer. My first table to sit at in 6 days. Route planning and trail finding mid-run. What was our routine? Every day was a new story burdened by the weighty responsibility of telling it well. Every day was a struggle with time. There was never enough time to work. And never enough time to sleep. I shadowed Mina for most of the 1,688 kilometres. This meant running alongside Mina, with my laptop, mobiles, batteries and chargers in my backpack on my back. When not running, I'd be driving the support vehicle, liaise with news media to manage media interviews or out somewhere interviewing a water expert or activist for our story. I’d wake at about 5am, tired, often confused about where I was. We slept in a different place almost every night for 6 weeks. On with the head torch to find clothes. Running started 5:30am sharp. This was no luxury tour. 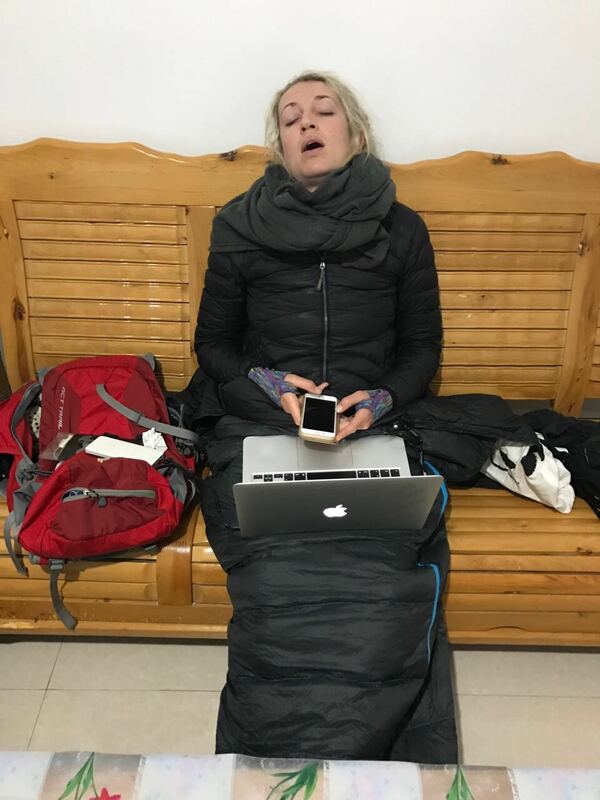 We had a strict budget so we camped, slept in a car, on a bus, or found low-cost accommodation - like river-side hammocks in the Amazon, or the living room floor of local family in China. Not knowing when we'd be able to do laundry because of the tight travel and running schedule, we wore the same clothes day in and day out. We reeked. There wasn’t always shower. In the Amazon I bathed in the river. 52 kilometres - that’s how much running had to be done each day. That’s seven to ten hours of running depending on the route condition, weather, Mina’s injuries, or whether we had to break to meet with water experts. The day's routes, interviews, and meeting points for the support vehicle was planned at dinner every night. The rest of the day was juggling cars between interviews, getting water and snacks to Mina whilst running and making sure she didn’t have to wait when her run was done. Lunch was generally an energy bar of some sort. Every spare moment was used for community management. I am now impressively good at running and community management / emailing / tweeting. Whilst in China I was also tasked with treating Mina's injuries. Before starting my work, I'd have to massage and perform dry-needling on her injured muscles. I had a 5 minute crash course in Australia on how to do this. Small patch of 3G next to Lake Mead, US. In Oz: a 60mins drive at midnight for LTE. 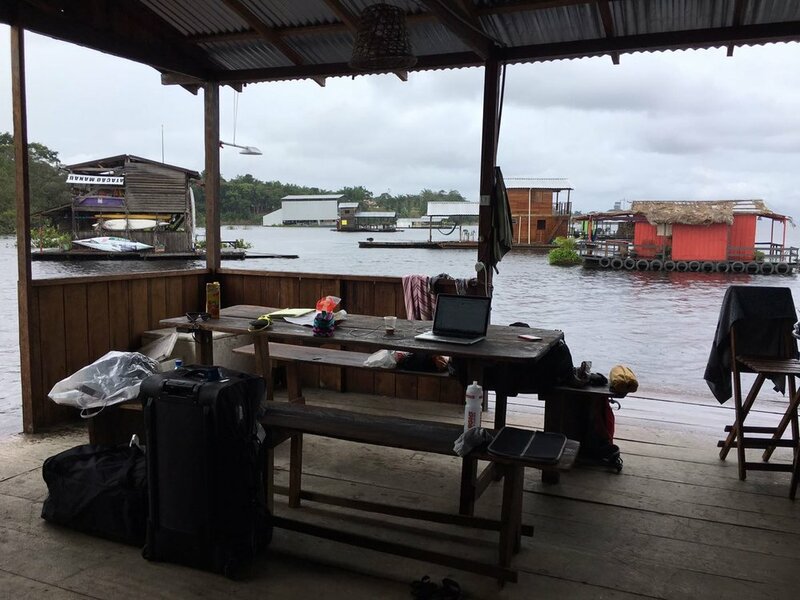 My office on our boat house on the Amazon River. At camp in the evening, the team would survey the damage to Mina’s body. We tried to keep it light. Mina spent time with a podiatrist and physiotherapist. Kelvin and I sorted through photographs. Some days he’d take over 12,000. We’d choose twenty of the best. I’d pick four for social media. The four that told that day’s story in the most remarkable way. We’d charge all the equipment. I had two battery packs. Really wished I had more - I burned through data and battery power at an alarming rate. We’d plan for the next day. Eat. Everyone would head off to bed. I’d look for a quiet spot (with good bandwidth) and I'd start my work - telling the day's water story and the running story on social media. Researching & copywriting at 1am, in the cold, with only a head torch for light. After, I’d flop into my sleeping bag -- sometimes just before sunrise -- to try sleep for two hours. Maybe three. Trying to ignore the howling coyotes in Nevada. Fireside in Aus. Before the mammoth moth descended. A perfectly timed and arranged Facebook Live from a 40m high tree we climbed in the Amazon failed horribly. The connection dropped. Twice! Dodging moths the size of my hand (I don't have small hands) in Australia, and eventually having to leave the fire I was working beside to sit on the back of a truck that was parked nearby to escape that moth. Running 35km in torrential downpour in a rainforest, just to be able to do a 45second video of "drenched, exhausted Mina explaining the importance of trees in the water ecosystem". Support vehicles could not reach the road, so I had to run the whole route. Sitting until 4:45am outside of my tent, utterly exhausted, struggling to upload virtual reality video to Facebook on 1 bar of 3G. It failed twice. It finally uploaded on the 3rd try. But I woke up the next morning realising the copy had a spelling mistake. Leaving the campsite at midnight, and driving an hour to the next town which had LTE, to sit in the car and upload content till 2:30am. Using 18 of my 19 flights in 40 days to work. Fly time was uninterrupted time to do graphic design, and copy writing work. The first in-flight movie I watched was on my flight back to Cape Town. In retrospect it is bizarre looking at how carefully curated the content appears now, knowing it was assembled under the most extreme conditions. When the Facebook Live failed. 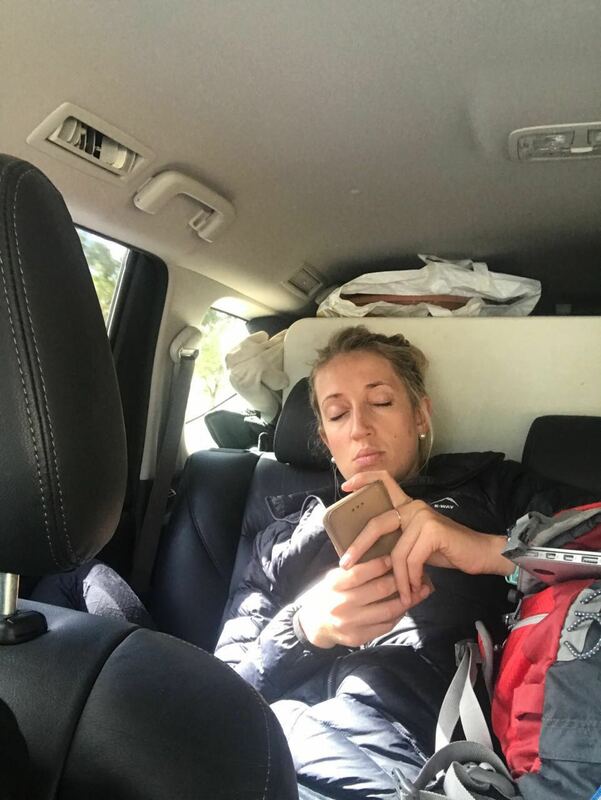 Working in the support car, in Australia. Mobile office in Brazil. It was so hot and humid. 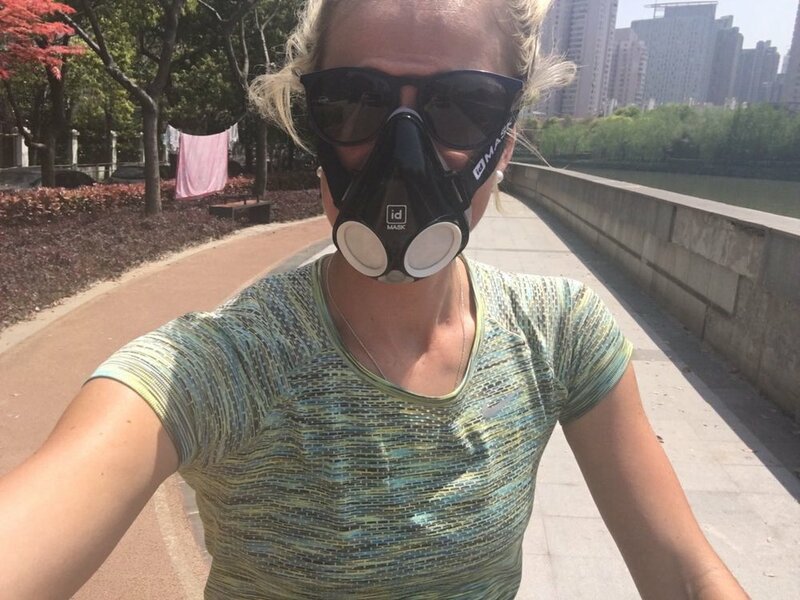 Airmarsks in Shanghai. It's like breathing through a straw. In China I couldn’t access Facebook, Instagram, Twitter nor the Website - they’re blocked by the state there. I bypassed the great firewall of China [legendary for being so powerful that no free VPN or ordinary proxy will let you through] using a VPN outside of China. I signed up and paid for 2 VPNs. Just in case. The exhaustion was overwhelming. I’d be drafting copy sitting on a cooler box on a bus and would fall asleep, sometimes on my keyboard, other times with my head dangling sideways and my finger pressing a down on a key, making rows and rows of the same letter on my screen. 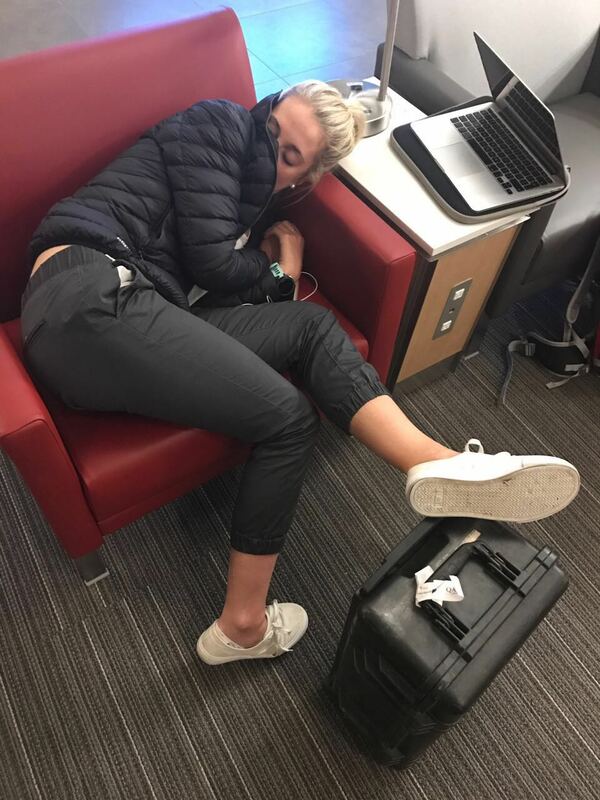 The team meme -- taking photos of someone asleep in a ridiculous position. The moral of the story? This is the toughest campaign I’ve ever done, but the one I’m most grateful for. I’ve learned that growth comes from struggle. I was humbled our story’s hero -- water. Watching people innovate, or do battle with the water challenges they face more than humbled me. It made me a better person. Using every opportunity to either work, or sleep. This is 2am in China. I uploaded the copy the next day. 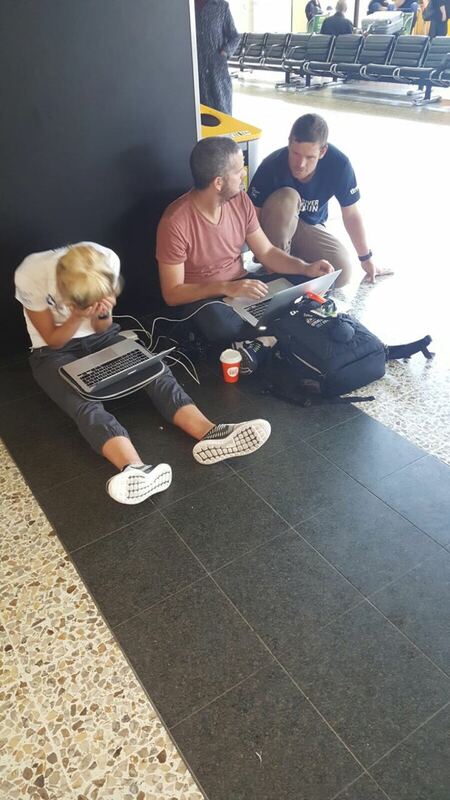 Melbourne Airport. Struggling to upload a video. Day 39 of 40. Exhausted. Finally some advice. To tell the best stories, leave what you know behind. Get out from behind your desk, leave your office. Walk into the world. The real stories are waiting there for you. They will change your life. Content and story is king. Even 40m high up, mid-air. 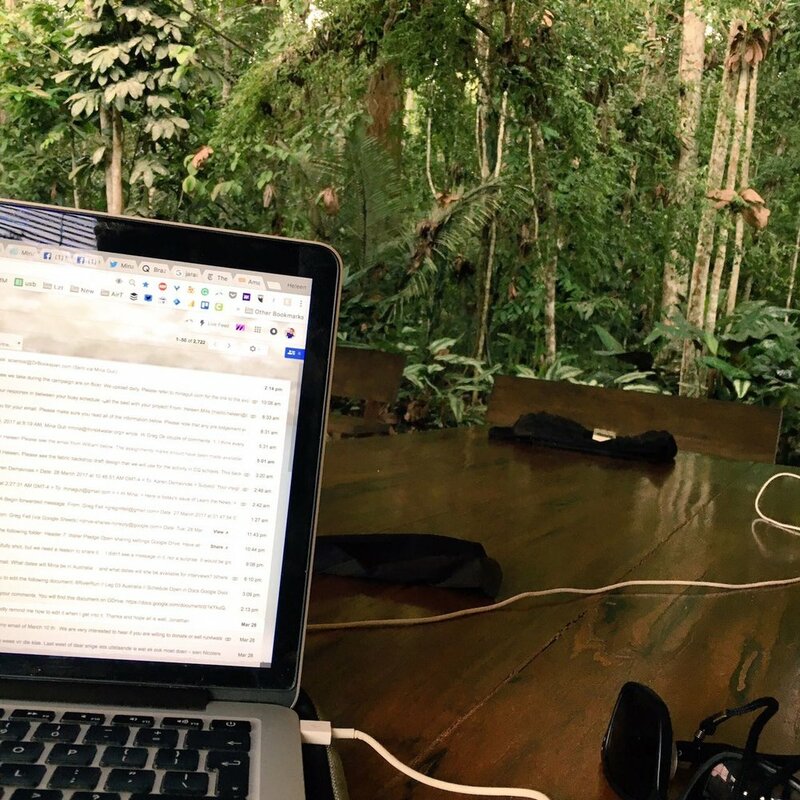 Mobile office in the Amazon. "Hello mom, I'm okay!" Back pack running in China. Story always is king. Not sightseeing. Heleen Mills manages Social Media for Treeshake, a tech-savvy communications consultancy that runs global campaigns for change. Licensed through #CreativeCommons. #Freeforuse with #attribution.